Fire horn with strobe KS-FS102 has a well-designed modern casing. Upon activation, loud siren and strobe will be heard and seen in the area. 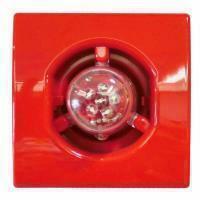 LED strobe on the siren ensures the signal can be seen for those who are visually impaired. Housing is made of sturdy material to prevent damage and ensures long operational use. 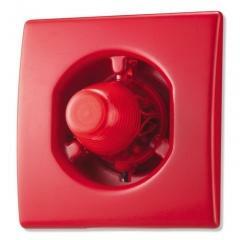 This siren with strobe can be fitted into a security sound system for indicating fire emergency. If needed, strobe lens cover can be changed to different color to suit the surroundings.